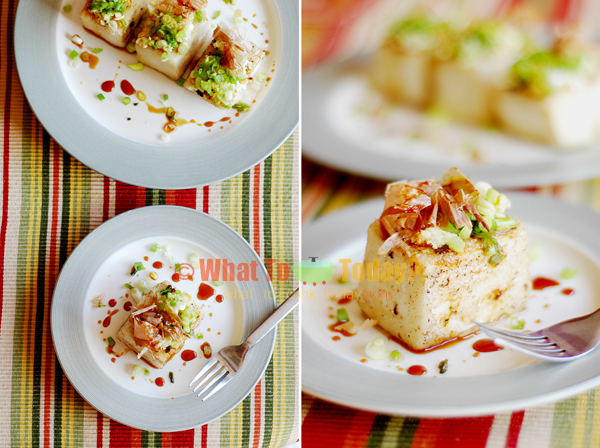 Tofu has certainly gained its popularity share outside Asia these days. I personally enjoy tofu very much myself. I remember how my sister always made fun of me when we were still in college. When we went to Asian grocery store, tofu was always in the shopping cart. 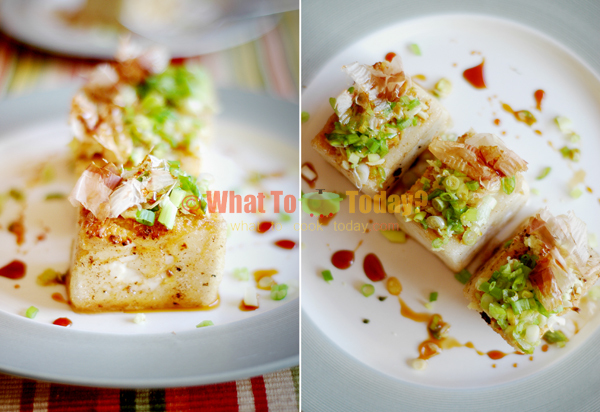 I often fixed the ma po tofu dish (because that’s pretty much I knew how to prepare really well at that time lol). Nowadays, you don’t need to go to Asian store to get tofu anymore. There are lite tofu, organic tofu, soft to firm tofu in pretty much any grocery store in the U.S. 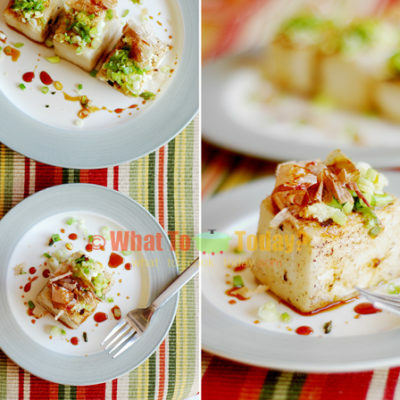 I strongly encourage you to try this tofu steak dish. It is a very common way of preparing tofu the same way as steak in Japan. 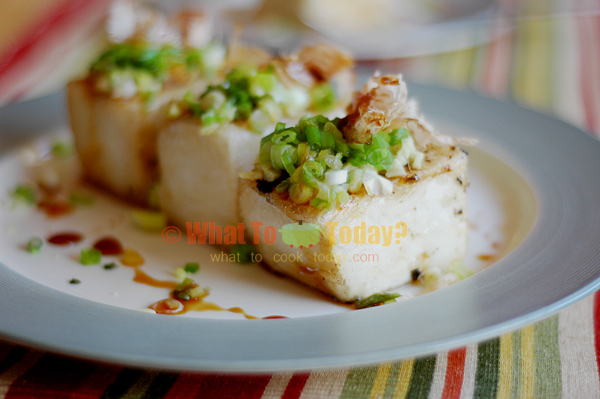 This tofu steak is cooked with garlic and spring onions, dressed with banno soy sauce and then topped with katsuobushi (bonito fish flakes). My husband is not so big on tofu (though he won’t admit it 😉 ), but he was surprise when he had his first bite! GREAT surprise! lol! oops…sorry! Amended! Thanks for letting me know! Angel: btw, how do you like it ? or not ? lol!